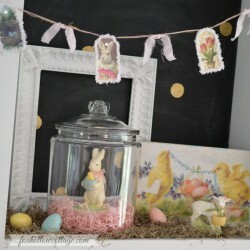 Spring at the Cottage – Decorating with Vintage Easter Bunnies It’s Springtime. And that means it’s time to get my bunnies out! 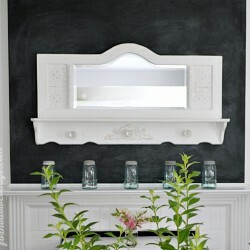 Welcome to… You know how I changed the chalk stenciled design on my open cabinets in the kitchen a little bit ago? Well I did! I got silly and had some fun….